On May 11, 1775, American forces under Benedict Arnold and Ethan Allen captured the British fort of Ticonderoga. The fort was captured without firing a shot. The capture was the first offensive action by the colonists, and the cannons captured there were invaluable. Fort Ticonderoga was built by the French between the years of 1755 to 1759. The fort was constructed on a narrow part of Lake Champlain, giving the French control of that lake. The fort had been called Fort Carillon by the French. On July 8, 1758, 16,000 British troops tried, unsuccessfully, to defeat 3,000 French defenders of the fort. However, a year later, the British did defeated the French, blowing up the fort's magazines and evacuating the fort. 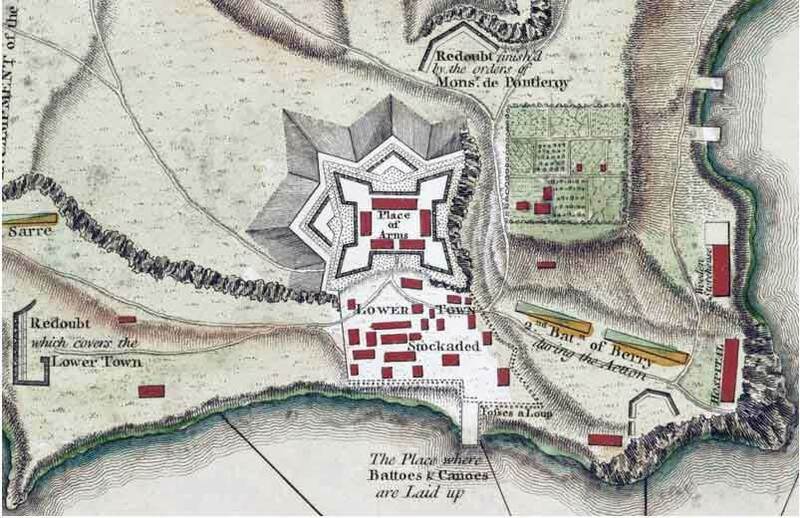 After the French and Indian War the British maintained a token force at the fort. The fort's location was considered critical by many Colonists. It was positioned to cut the Colonies in half, as well as to serve, as a rear staging area against American forces around Boston. Two Americans, Ethan Allen and Benedict Arnold, were determined to capture Fort Ticonderoga. Allen was approached by Connecticut citizens to lead his soldiers known as "The Green Mountain Men" to take control of the fort. Meanwhile, Benedict Arnold had been appointed to the same task by the Massachusetts Committee of Safety. The two men argued over their respective commands. However, this did not deter either of them from attacking the fort. On May 11th, all the men who could fit were loaded in boats and set off for the fort. The men defending the garrison of Ticonderoga were surprised in their beds. Allen called out to Lieutenant Joceyln Feltham, "Come out of there, you dammed old rat!" When Feltham asked on whose authority, Allen stated," in the name of Great Jehovah and the Continental Congress." Despite its heavy artillery, Fort Ticonderoga fell without a shot being fired. Two days later, Crown Point fell as well.